"Indulge with this creamy smoothie your sweet tooth has been dreaming of. 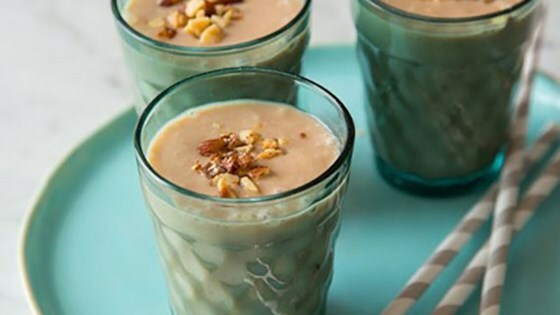 For extra creaminess use any Almond Breeze Almond-Cashew Blend instead of Almond Breeze Unsweetened Original." Place all ingredients into the well of a blender and blend until smooth. Add more milk or dulce de leche depending on thickness preference and blend again until smooth. Finish each smoothie with a small sprinkle of crushed almonds and serve immediately. You can substitute 1 recipe cajeta for 2/3 cup plus 2 tablespoons dulce de leche.